Oman, a Middle Eastern country bordered on three sides by the Gulf of Oman and the Arabian Sea, is undergoing a tourism boom. The country’s miles of pristine beaches, rich history, friendly people and stable political regime all but ensure a steady influx of travelers. Muscat, the capital of Oman, is located in the north. It’s a city of contrasts, reflecting the country’s past and future. Sitting on the Gulf of Oman, Muscat is home to the Sultan Qaboo’s Grand Mosque, the Museum of Omani Heritage, the Bait Al Falaj Fort, Old Muscat and the Old Palace. It also boasts many modern shopping malls and the Al Qurum Commercial Area, the city’s main shopping district. Salalah is located at the southern end of Oman, and it’s one of the most important industrial areas in the country. Typically that precludes a city from being a tourist destination, but Salalah’s seaside resorts attract countless tourists throughout the year. People flock to the city for the summer Monsoon (Khareef) season, when the barren landscape erupts into beautiful, lush greens. In the winter, Salalah’s warm coast is overrun with sun-seeking tourists, particularly from Central and Northern Europe. Only one major airline alliance member flies to Salalah, oneworld’s Qatar Airways. Thankfully there are more options for getting to Muscat. 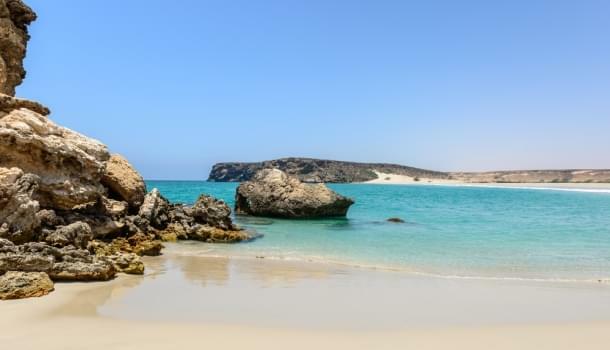 Even though Salalah is about 650 miles from Muscat, it’s just a short domestic flight away. Here’s how to get to Muscat with the major airline alliances. 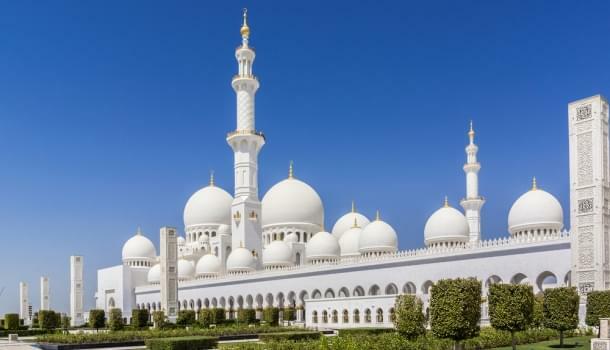 Only two oneworld alliance members fly to Muscat. British Airways flies there via London, and Qatar Airways via Doha. British Airways adds a substantial fuel surcharge to flights from the U.S. to London, and from London to Muscat. They probably aren’t the best option. Etihad Airways is not a oneworld member, but they are an American Airlines partner. They fly to Muscat, stopping in Doha. They can’t be booked online through American, so you’ll have to call. The phone booking fee will be waived. Round-trip award tickets in economy on United and other Star Alliance members cost 85,000 miles. On United, business and first class cost 140,000 miles and 180,000, respectively. Premium cabins on United’s partner airlines cost significantly more at 180,000 miles in business class and 280,000 in first. With stops in Jeddah, Medina or Riyadh, Saudia is the only SkyTeam member that flies to Muscat. First class tickets cannot be booked with SkyMiles. Qatar Airways and Etihad Airways offer exceptional flying experiences. Their seats, entertainment options and service are superior to the rest of the pack, even in economy. For these reasons alone, any search for award flights to Oman should probably start with those airlines, even if economy tickets cost 5,000 to 10,000 miles more. If you don’t have AAdvantage miles, flying on Saudia with SkyMiles offers the greatest value in economy at 80,000 miles. Flying premium cabins on United’s partners offer the worst value.